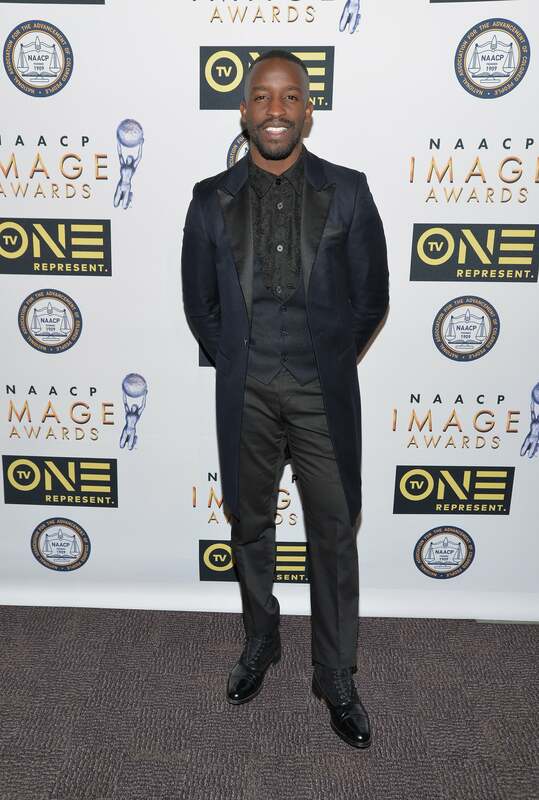 The red carpet at the NAACP Image Awards is always a must-see! The outfits, the hair, the makeup—there's so much to see. See how Tracee Ellis Ross, Kerry Washington, Taraji P. Henson, Viola Davis, Gabrielle Union, Michael B. Jordan, Will Smith, and so many more, owned the night. Yara Shahidi and Gabrielle Union take a selfie at the 47th NAACP Image Awards in Pasadena, California. Yara Shahidi arrives in style at the style at the 47th NAACP Image Awards in Pasadena, California. Jada Pinkett Smith arrives in style at the style at the 47th NAACP Image Awards in Pasadena, California. 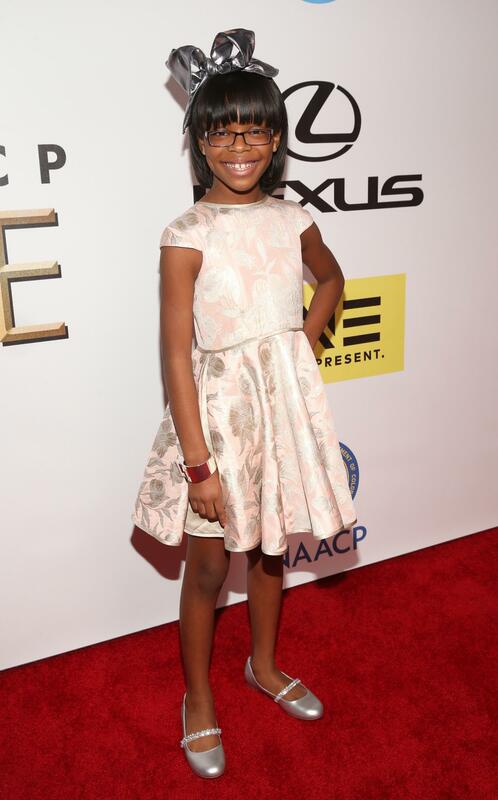 Marsai Martin arrives in style at the style at the 47th NAACP Image Awards in Pasadena, California. Gabrielle Union arrives in style at the style at the 47th NAACP Image Awards in Pasadena, California. Will and Jada Pinkett Smith arrive in style at the style at the 47th NAACP Image Awards in Pasadena, California. Laverne Cox arrives in style at the style at the 47th NAACP Image Awards in Pasadena, California. 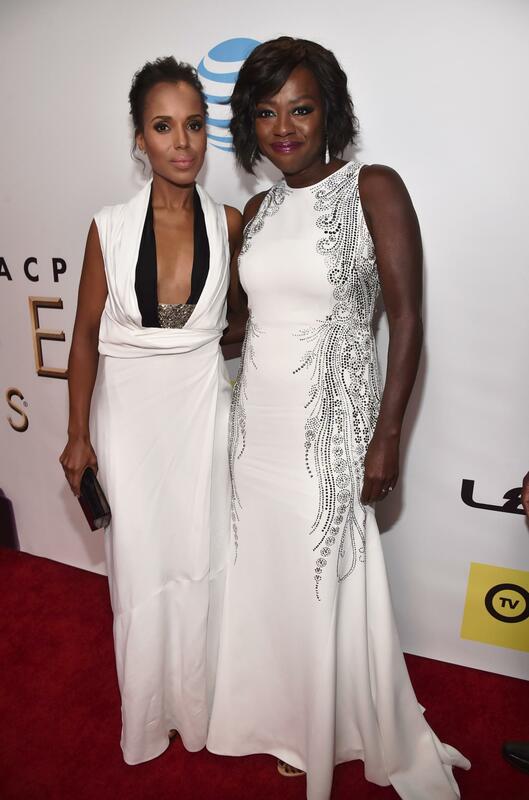 Kerry Washington and Viola Davis arrive in style at the style at the 47th NAACP Image Awards in Pasadena, California. Kerry Washington arrives in style at the style at the 47th NAACP Image Awards in Pasadena, California. Kyndall Ferguson and Kennedy-Rue McCullough arrives in style at the style at the 47th NAACP Image Awards in Pasadena, California. Taraji P. Henson arrives in style at the style at the 47th NAACP Image Awards in Pasadena, California. 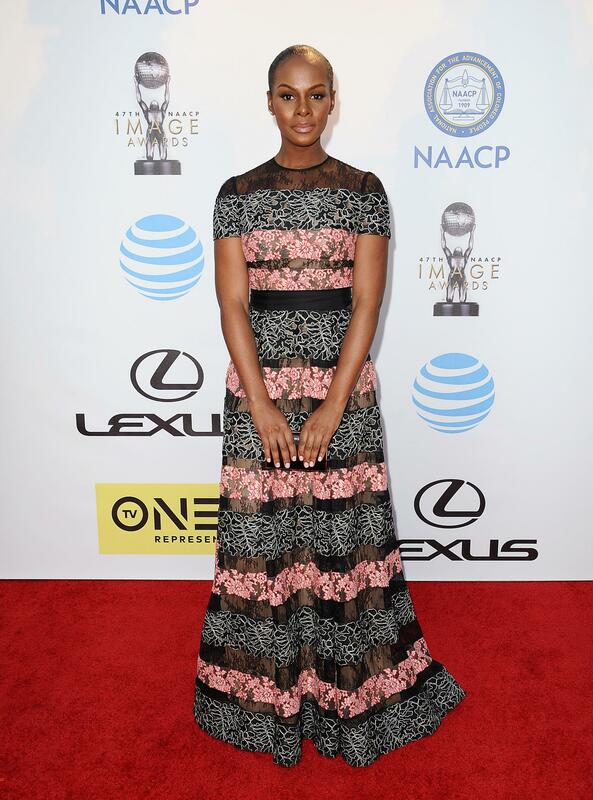 Tika Sumpter arrives in style at the style at the 47th NAACP Image Awards in Pasadena, California. Grace Gealey arrives in style at the style at the 47th NAACP Image Awards in Pasadena, California. Demetria McKinney arrives in style at the style at the 47th NAACP Image Awards in Pasadena, California. 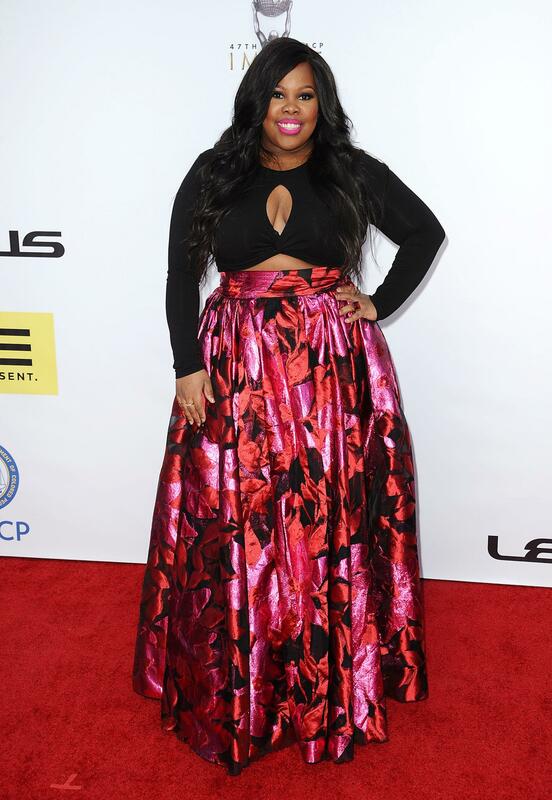 Amber Riley arrives in style at the style at the 47th NAACP Image Awards in Pasadena, California. 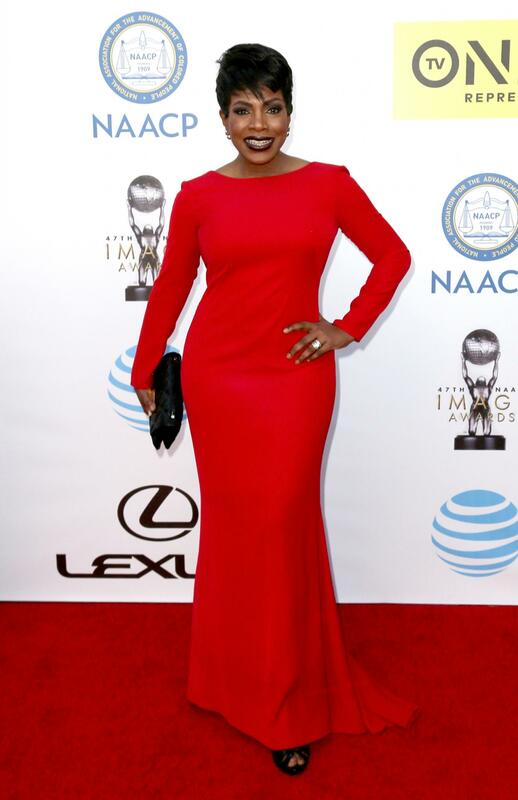 Sheryl Lee Ralph arrives in style at the style at the 47th NAACP Image Awards in Pasadena, California. Katie Rost arrives in style at the style at the 47th NAACP Image Awards in Pasadena, California. Genneya Walton arrives in style at the style at the 47th NAACP Image Awards in Pasadena, California. 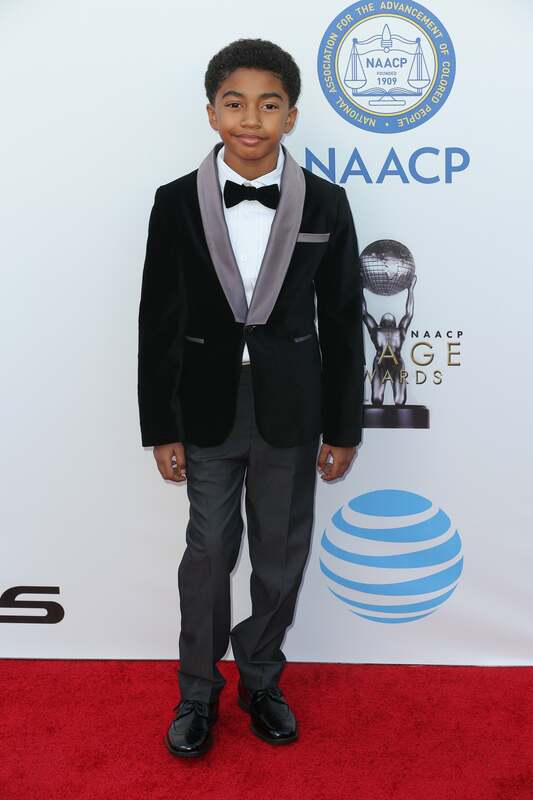 Nate Parker arrives in style at the style at the 47th NAACP Image Awards in Pasadena, California. Wendy Raquel Robinson arrives in style at the style at the 47th NAACP Image Awards in Pasadena, California. Danielle Nicolet arrives in style at the style at the 47th NAACP Image Awards in Pasadena, California. Alfred Enoch arrives in style at the style at the 47th NAACP Image Awards in Pasadena, California. 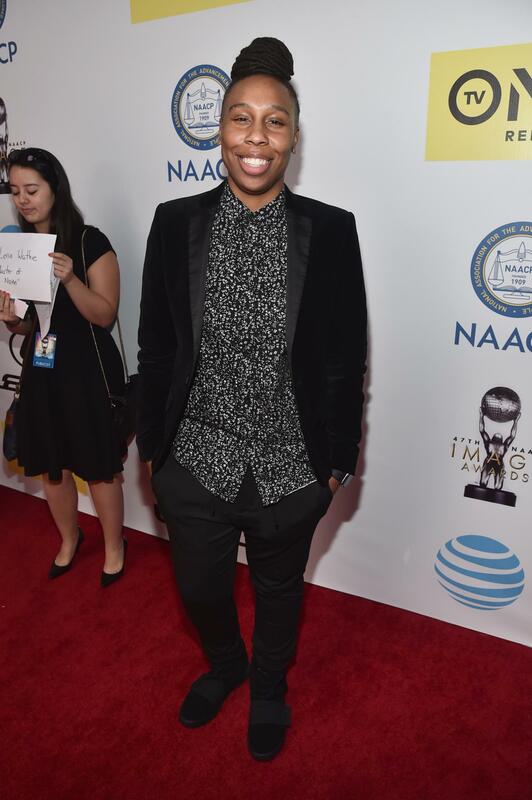 Lena Waithe arrives in style at the style at the 47th NAACP Image Awards in Pasadena, California. 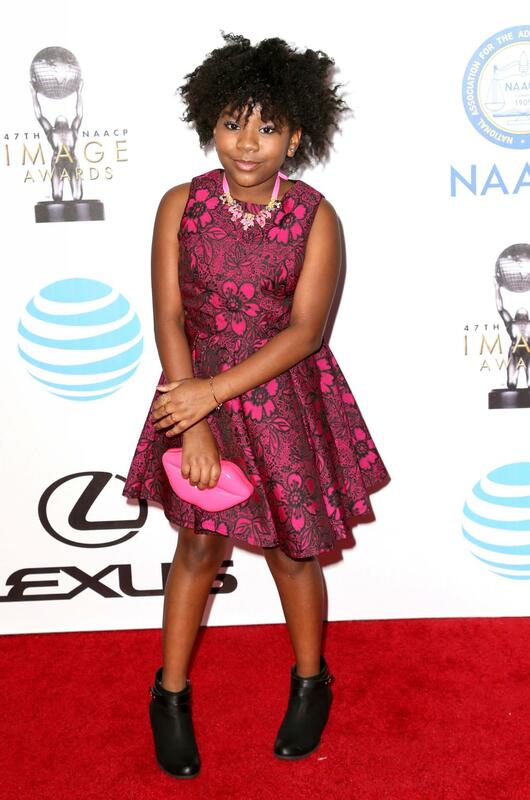 Trinitee Stokes arrives in style at the style at the 47th NAACP Image Awards in Pasadena, California. Gugu Mbatha-Raw arrives in style at the style at the 47th NAACP Image Awards in Pasadena, California. 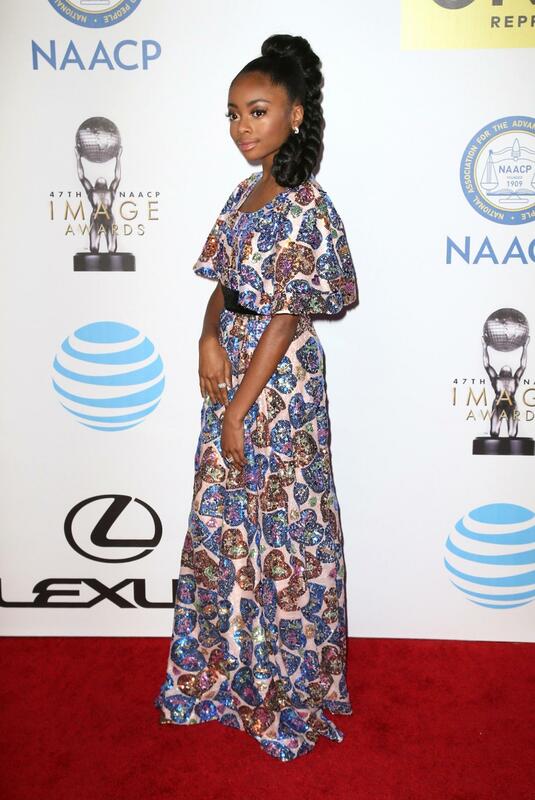 Nafessa Williams arrives in style at the style at the 47th NAACP Image Awards in Pasadena, California. Skai Jackson arrives in style at the style at the 47th NAACP Image Awards in Pasadena, California. 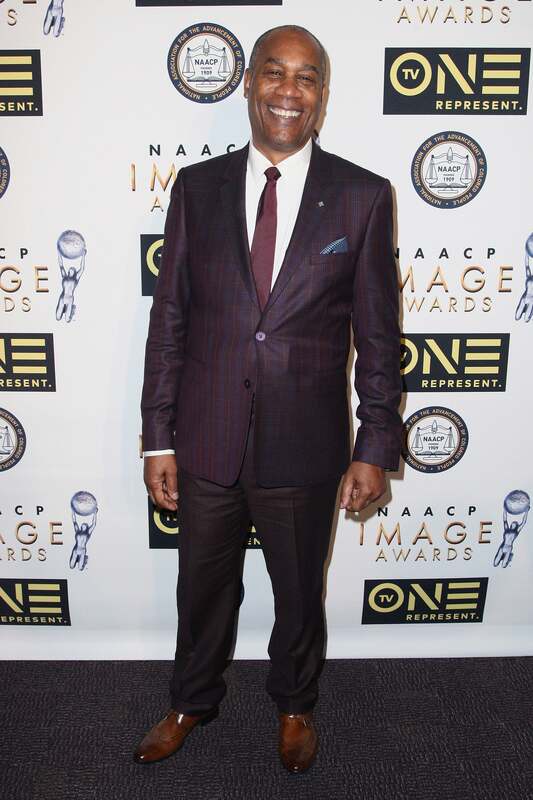 David Alan Grier arrives in style at the style at the 47th NAACP Image Awards in Pasadena, California. 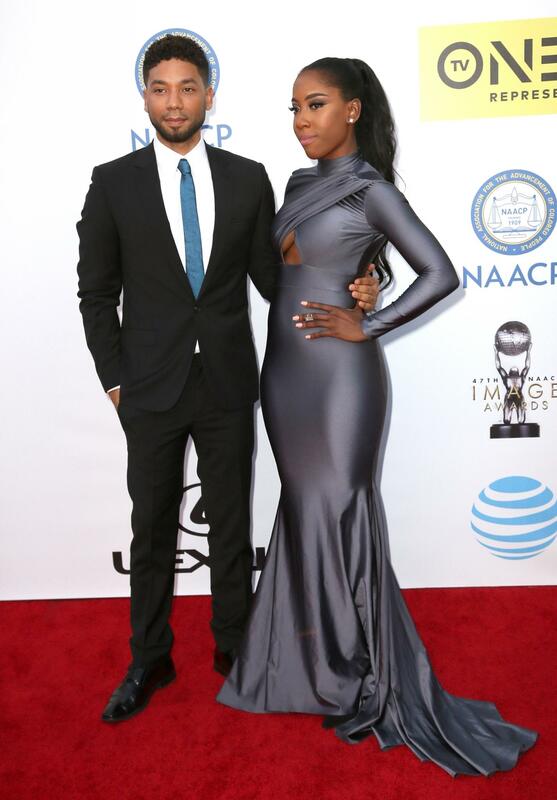 Jussie Smollett and Sevyn Streeter arrives in style at the style at the 47th NAACP Image Awards in Pasadena, California. 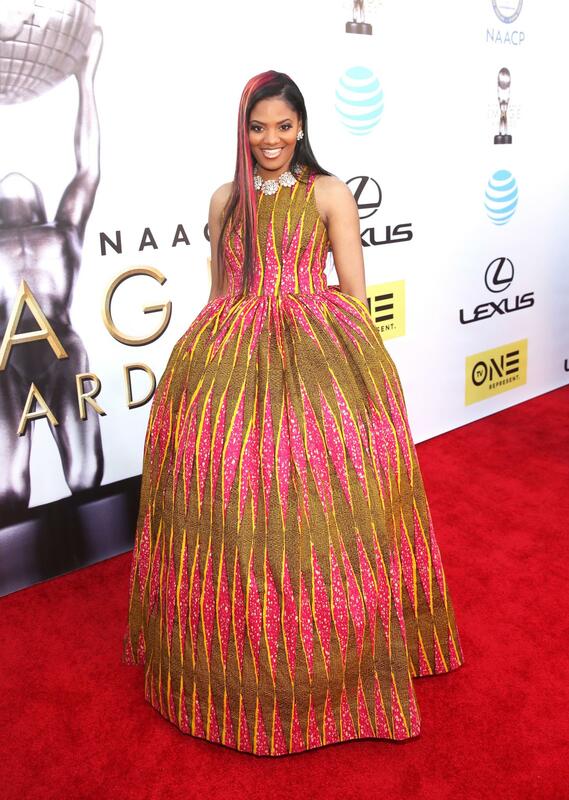 Keke Palmer arrives in style at the style at the 47th NAACP Image Awards in Pasadena, California. Eva Marcille arrives in style at the style at the 47th NAACP Image Awards in Pasadena, California. 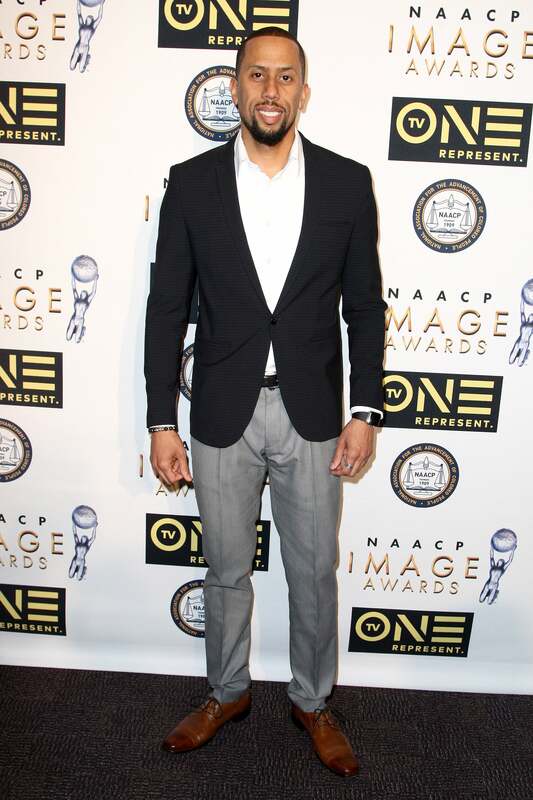 Marcus Scribner arrives in style at the style at the 47th NAACP Image Awards in Pasadena, California. Bryshere Y. 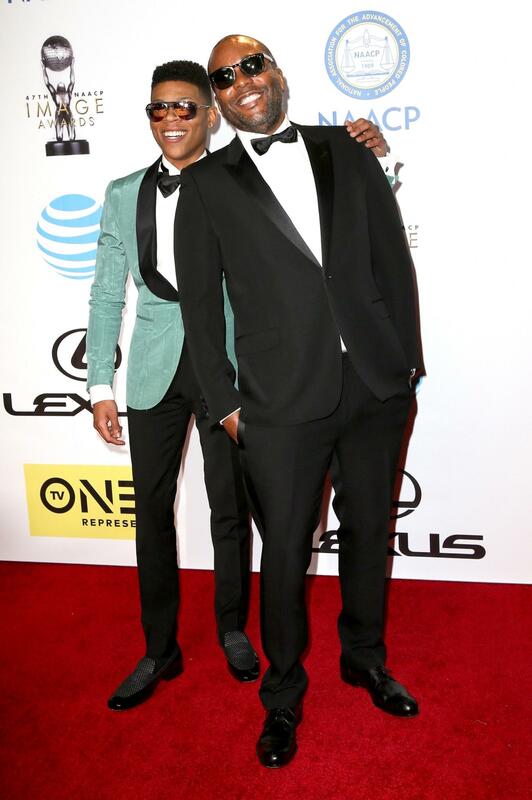 Gray and Lee Daniels arrives in style at the style at the 47th NAACP Image Awards in Pasadena, California. 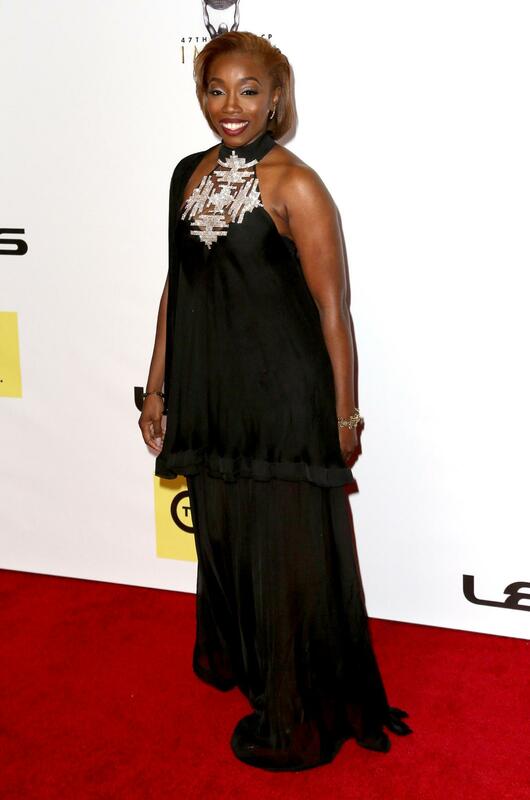 Estelle arrives in style at the style at the 47th NAACP Image Awards in Pasadena, California. 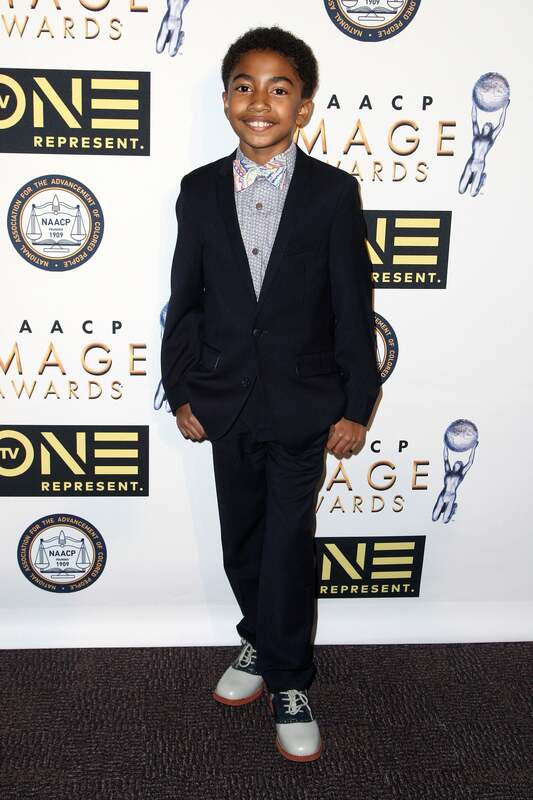 Cory Hardrict arrives in style at the style at the 47th NAACP Image Awards in Pasadena, California. Omarosa Manigault arrives in style at the style at the 47th NAACP Image Awards in Pasadena, California. 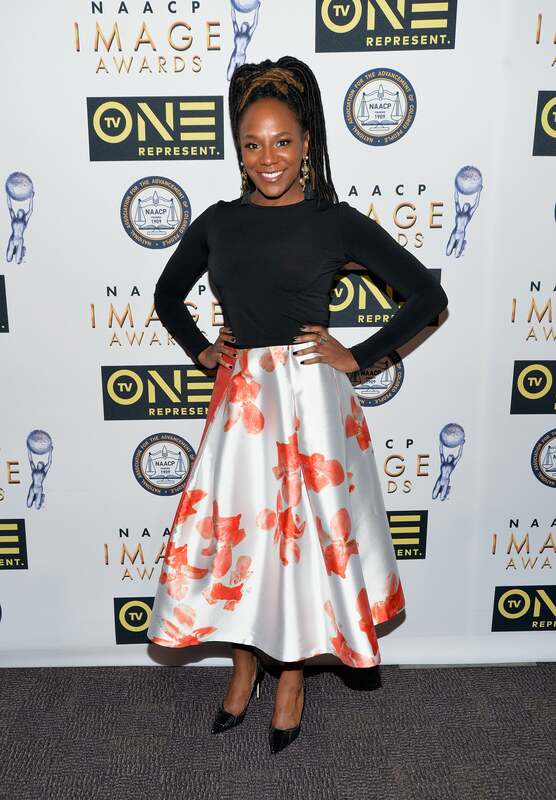 Erica Ash arrives in style at the style at the 47th NAACP Image Awards in Pasadena, California. Jurnee Smollett-Bell arrives in style at the style at the 47th NAACP Image Awards in Pasadena, California. Golden Brooks arrives in style at the style at the 47th NAACP Image Awards in Pasadena, California. 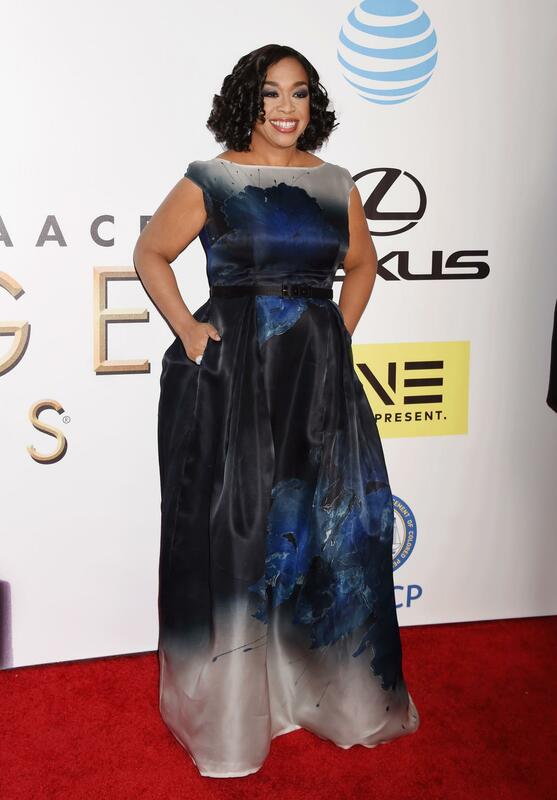 Shonda Rhimes arrives in style at the style at the 47th NAACP Image Awards in Pasadena, California. Grace Gealey and Trai Byers arrives in style at the style at the 47th NAACP Image Awards in Pasadena, California. 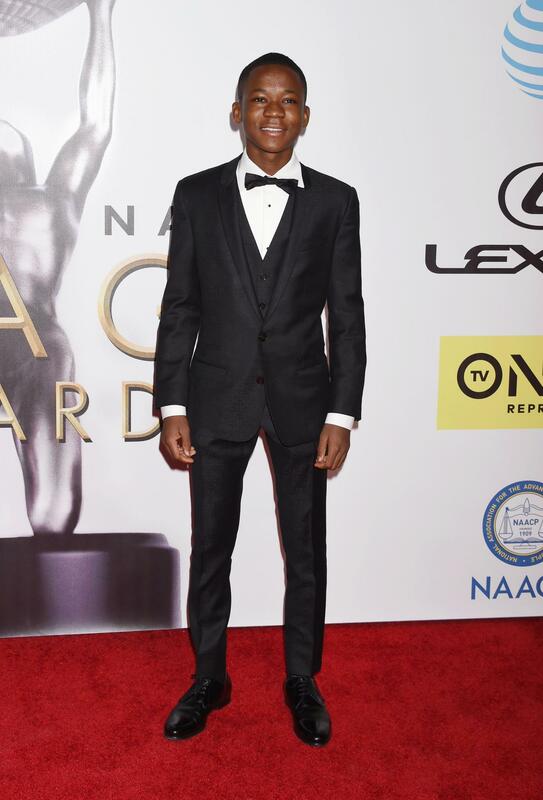 Abraham Attah arrives in style at the style at the 47th NAACP Image Awards in Pasadena, California. Jennia Fredrique arrives in style at the style at the 47th NAACP Image Awards in Pasadena, California. Producer Eunique Jones Gibson arrives in style at the style at the 47th NAACP Image Awards in Pasadena, California. 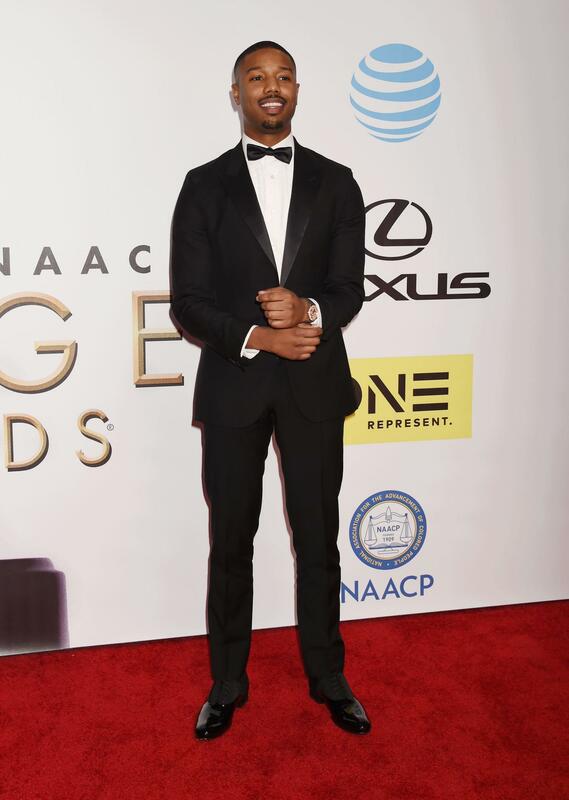 Michael B. Jordan attends the 47th NAACP Image Awards at the Pasadena Civic Auditorium in Pasadena, California. John Legend and Chrissy Teigen arrive in style at the style at the 47th NAACP Image Awards in Pasadena, California. Robin Givens arrives in style at the style at the 47th NAACP Image Awards in Pasadena, California. Margaret Avery arrives in style at the style at the 47th NAACP Image Awards in Pasadena, California. Tracee Ellis Ross arrives in style at the style at the 47th NAACP Image Awards in Pasadena, California. Sanaa Lathan arrives in style at the style at the 47th NAACP Image Awards in Pasadena, California. 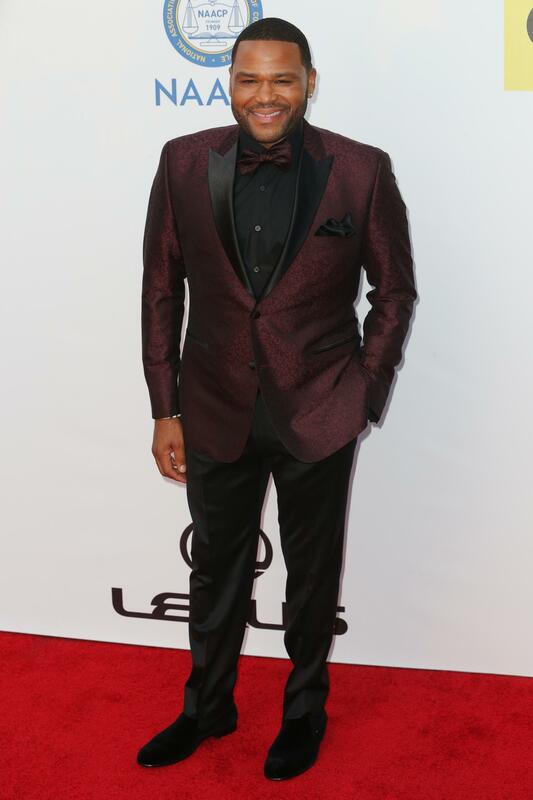 Anthony Anderson arrives in style at the style at the 47th NAACP Image Awards in Pasadena, California. Serayah arrives in style at the style at the 47th NAACP Image Awards in Pasadena, California. Director Nzingha Stewart arrives in style at the style at the 47th NAACP Image Awards in Pasadena, California. Kimberly Elise arrives in style at the style at the 47th NAACP Image Awards in Pasadena, California. 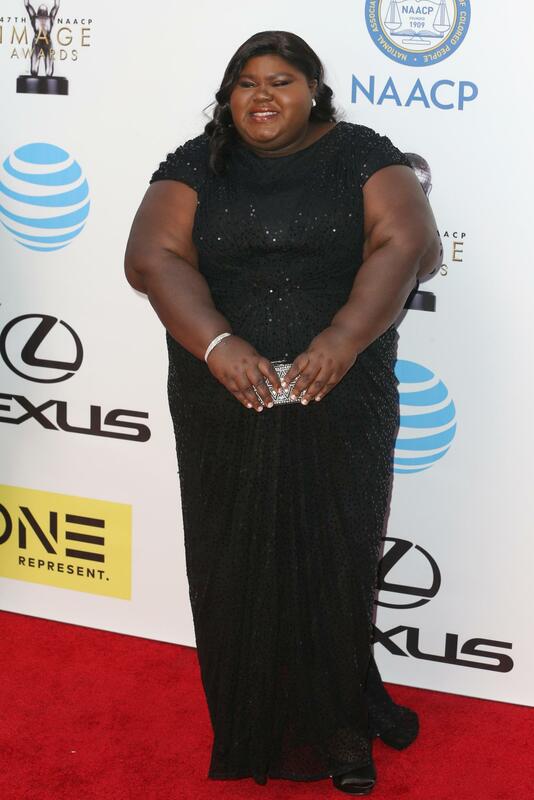 Gabourey Sidibe arrives in style at the style at the 47th NAACP Image Awards in Pasadena, California. 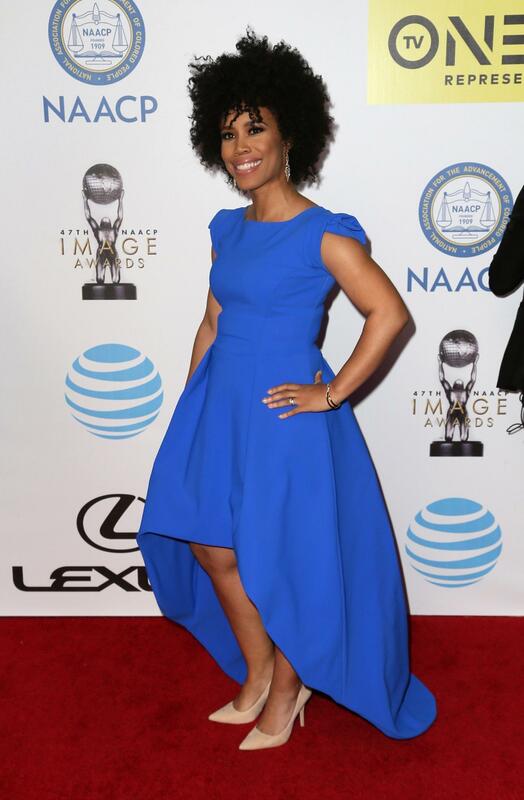 Aujanue Ellis arrives in style at the style at the 47th NAACP Image Awards in Pasadena, California. 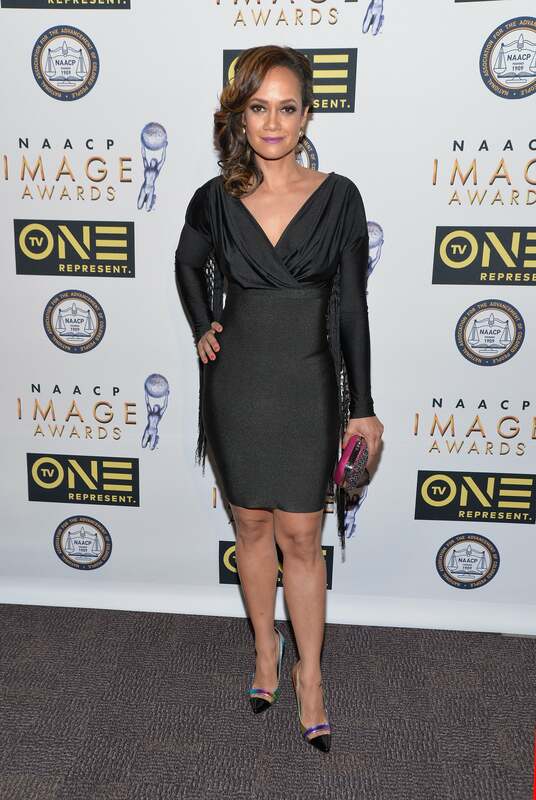 Tammy Townsend arrives in style at the style at the 47th NAACP Image Awards in Pasadena, California. 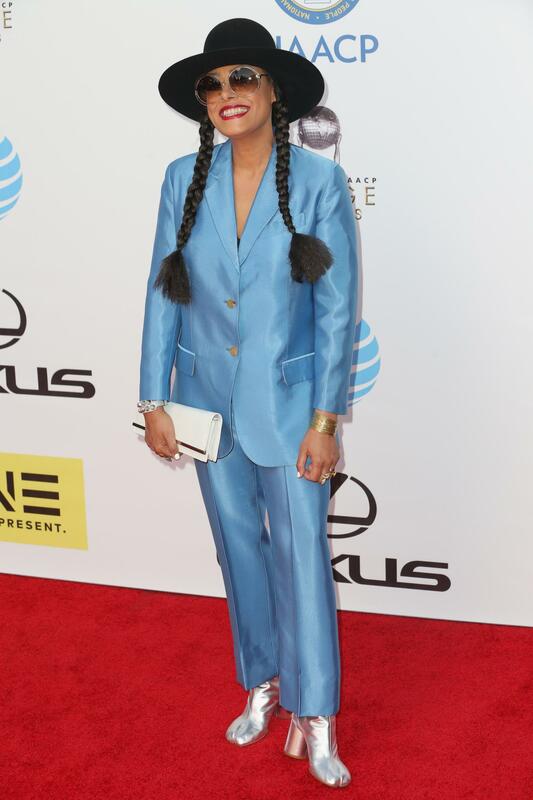 Cree Summer arrives in style at the style at the 47th NAACP Image Awards in Pasadena, California. 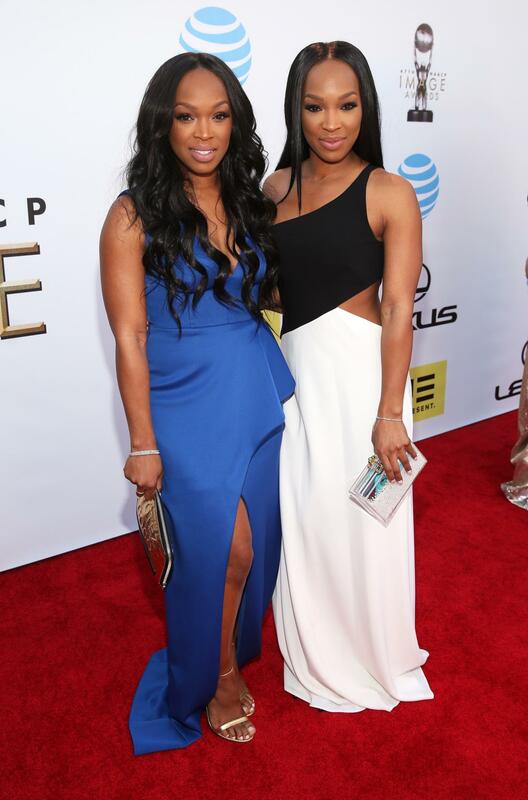 Khadijah and Malika Haqq arrive in style at the style at the 47th NAACP Image Awards in Pasadena, California. 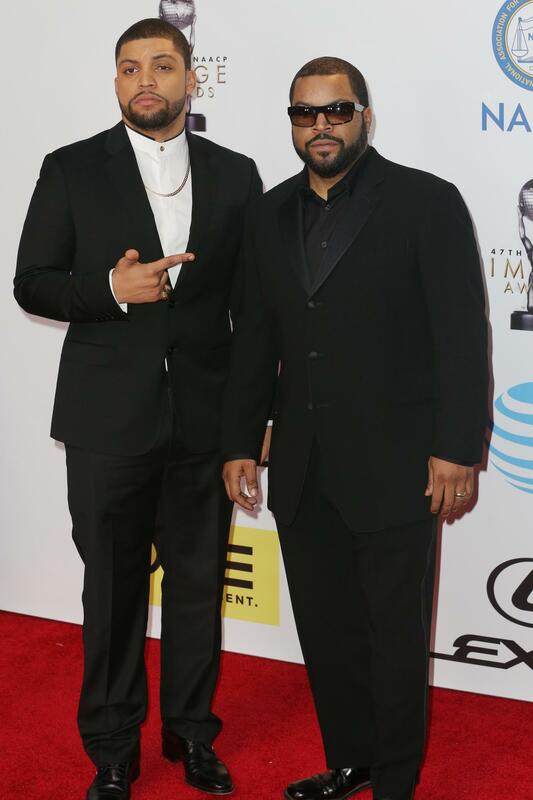 O’Shea Jackson Jr. and Ice Cube arrive in style at the style at the 47th NAACP Image Awards in Pasadena, California. 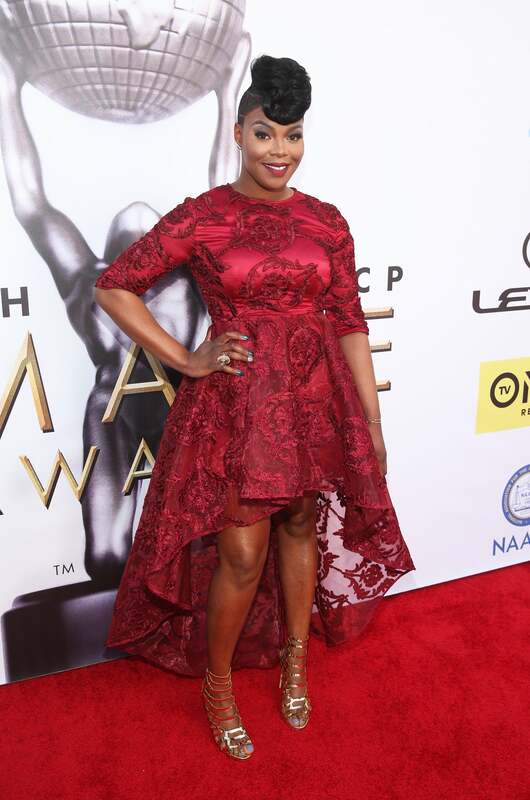 Monique Coleman arrives in style at the style at the 47th NAACP Image Awards in Pasadena, California. 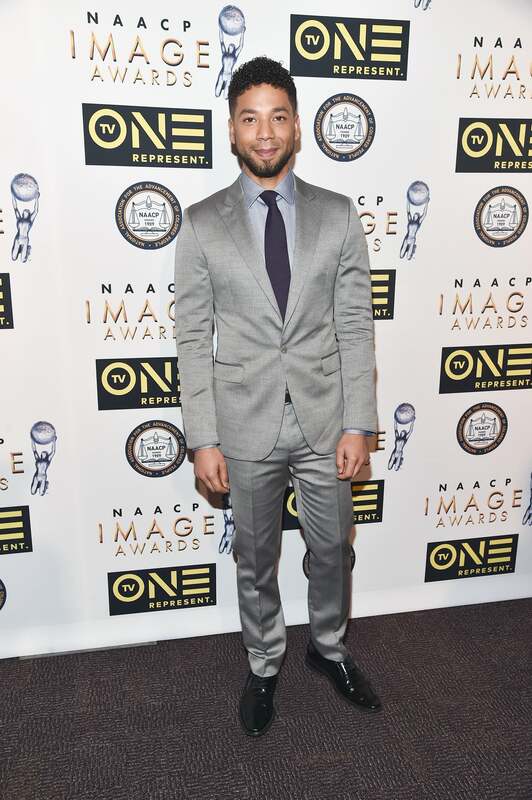 Keegan-Michael Key arrives in style at the style at the 47th NAACP Image Awards in Pasadena, California. Teyonah Parris arrives in style at the style at the 47th NAACP Image Awards in Pasadena, California. Jennifer Williams arrives in style at the style at the 47th NAACP Image Awards in Pasadena, California. Claudia Jordan arrives in style at the 47th NAACP Image Awards in Pasadena, California. Toccara Jones arrives in style at the 47th NAACP Image Awards in Pasadena, California. 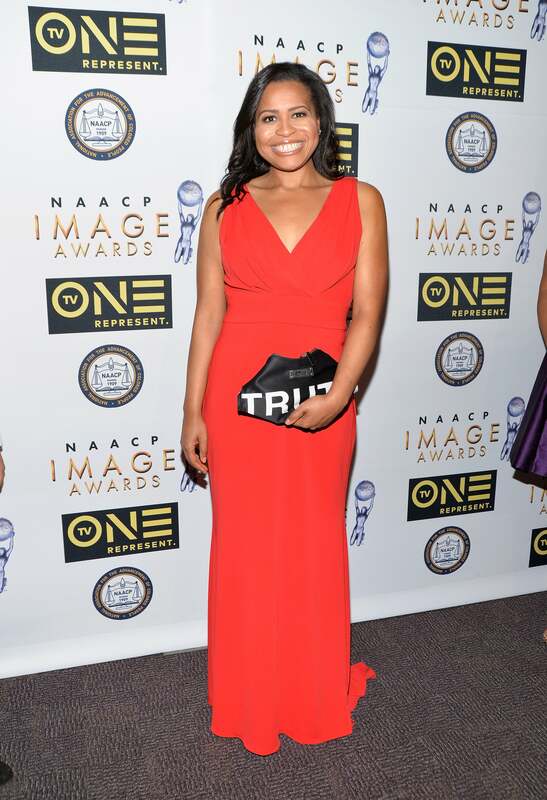 Ta'Rhonda Jones arrives in style at the 47th NAACP Image Awards in Pasadena, California. Laura Govan arrives in style at the 47th NAACP Image Awards in Pasadena, California. 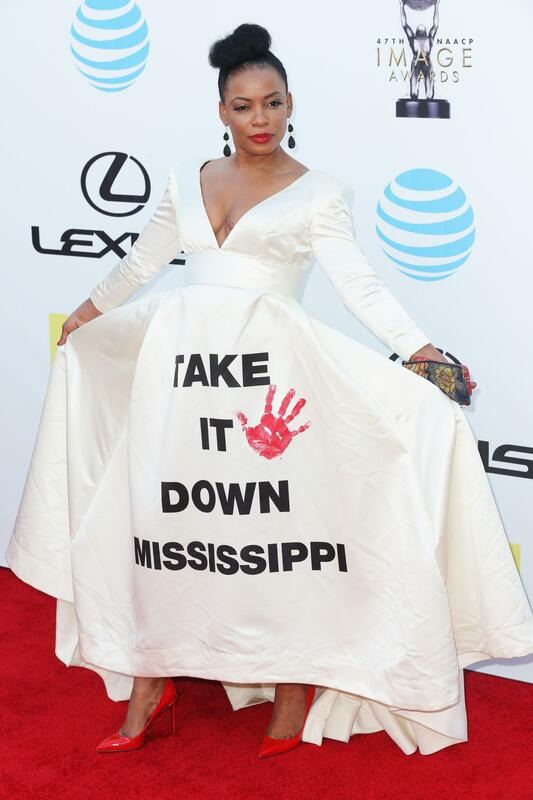 Dianna "Miss D" Williams arrives in style at the 47th NAACP Image Awards in Pasadena, California. 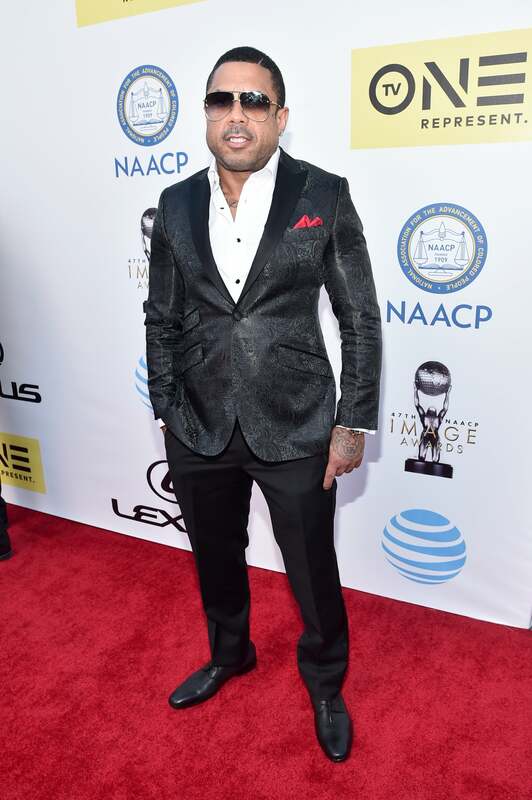 Benzino arrives in style at the 47th NAACP Image Awards in Pasadena, California. Anita Hawkins arrives in style at the 47th NAACP Image Awards in Pasadena, California. 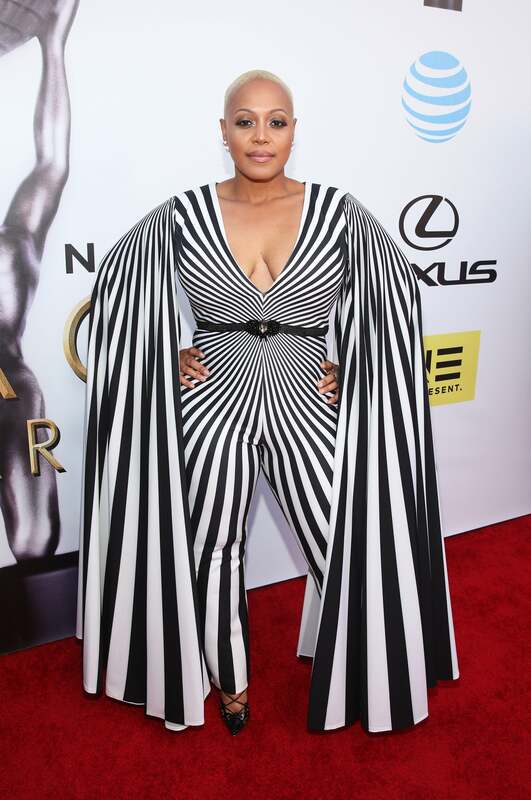 Power showrunner Courtney Kemp Agboh arrives in style at the Non-Televised 47th NAACP Image Awards in Pasadena, California. 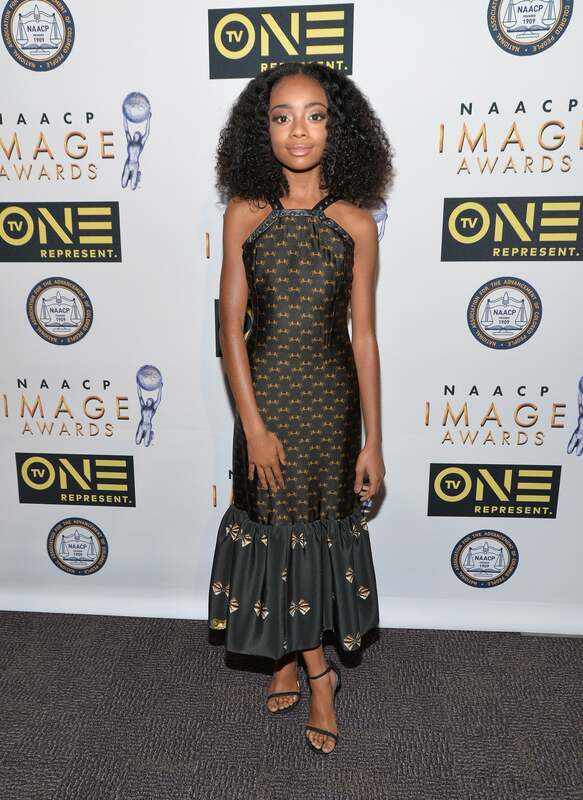 Skai Jackson arrives in style at the Non-Televised 47th NAACP Image Awards in Pasadena, California. 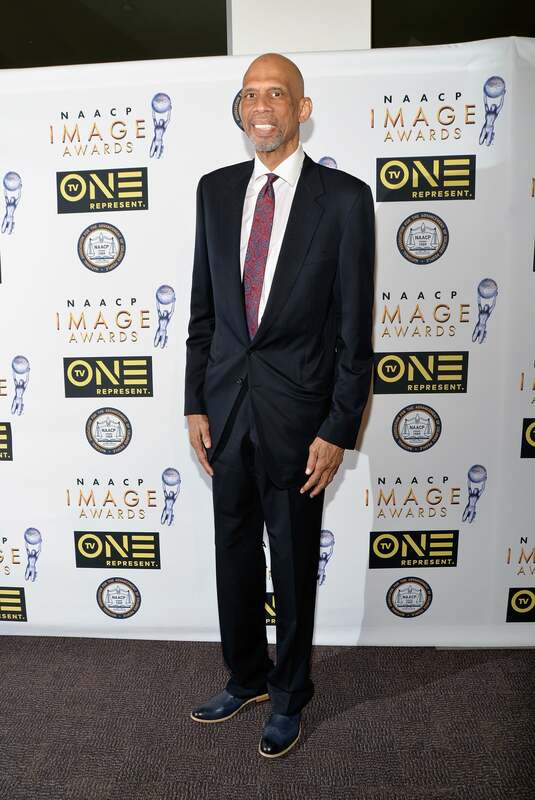 Kareem Abdul-Jabbar arrives in style at the Non-Televised 47th NAACP Image Awards in Pasadena, California. Anita Hawkins arrives in style at the Non-Televised 47th NAACP Image Awards in Pasadena, California. 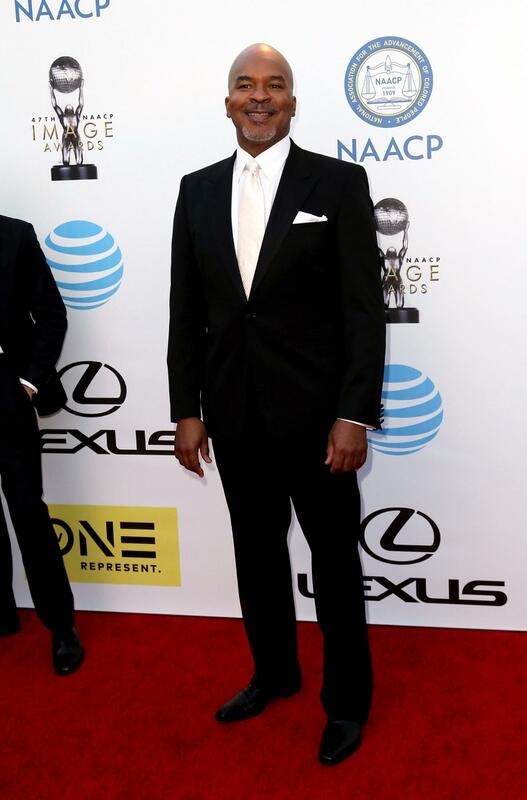 Joe Morton arrives in style at the Non-Televised 47th NAACP Image Awards in Pasadena, California.